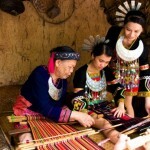 The Jiamao, a branch of the Li people group, derive their name from the area they inhabit. Other Li groups call them Kamau while they refer to themselves as Tai, which simply means “people.” They live on the southeastern part of Hainan Island, just off China’s southern coast, near Wuzhi (Five Finger) Mountain — the highest peak on the island. 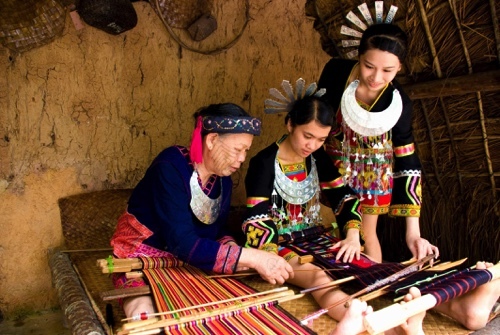 The various Li groups, including the Jiamao, are proud of the fact that they are the original inhabitants of Hainan Island. They are the descendants of an ancient people of China called the Yue, who moved to Hainan from the mainland over 3,000 years ago. Most of the Jiamao are farmers who grow a variety of tropical crops. 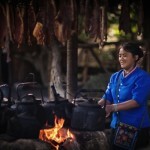 They are also excellent weavers and enjoy the art of dyeing cloth to make complicated patterns. The Jiamao enjoy chewing the leaves and nuts of the betel palm. After many years of chewing, a person’s teeth will become stained black and their lips will turn red. In years past, Jiamao women tattooed their bodies at the onset of puberty, starting with the face and neck. This continued until all exposed skin had been tattooed. This was considered a mark of beauty. Today, almost no Jiamao girls follow this custom. The overwhelming majority of Jiamao are animists, which includes the worship of ancestors, local “earth gods,” and various other spirits. 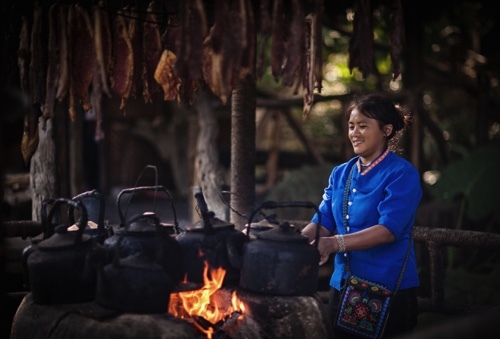 They traditionally consulted shamans and witch doctors to deal with sickness. In the past, the Jiamao sacrificed animals to their gods and spirits. A chicken was killed for a minor sickness and a pig for a more serious illness. If someone was in danger of dying, the required sacrifice was to slaughter an ox in a vain bid to appease the offending spirits. They have not been substantially affected by major Chinese religions such as Buddhism, Taoism or Confucianism. Unfortunately, they have been similarly unreached by the Gospel. Will you join us in prayer, asking the Lord for messengers to carry the gospel to the Jiamao? He may send a western Christian, a Chinese believer or even a former animist to introduce Jesus to the Jiamao. Please pray, give and consider being one of God’s messengers.